Have you been looking for a capable and reliable medical transcription company? that deploys web-based EMR application? 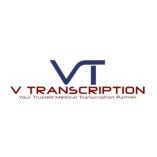 Based in Belden, Mississippi, V Transcription offers a gamut of medical transcription services to medical facilities.